you completed a week ago? Noticed a typo? In Timely, time entries can be edited as often as needed. Just click, make your edits and save! My Entry says "This Hour is Locked" and won't let me edit it. What's going on? Once a project is complete and marked as "Billed", the hours are locked and can't be edited by Normal and Limited users. 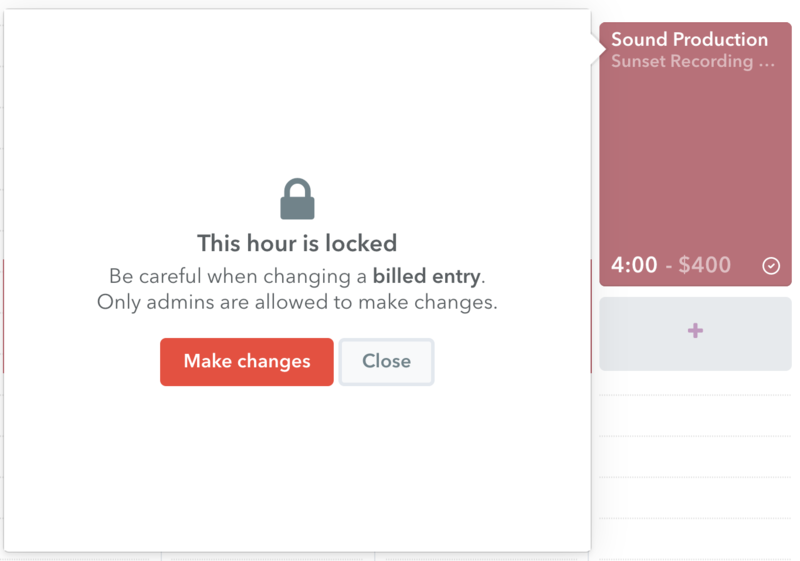 Only Admins on the account have access to make an adjustment to an entry already marked as billed. What is Logged Time and Planned Time?